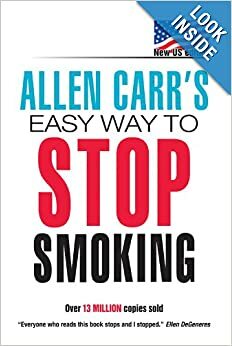 I’m a huge advocate of Allen Carr’s book and highly recommend that everyone give it a read. Study the book as if you’re taking an exam in college and have to pass the course. Study it some more. Grasp the concept that cigarettes do nothing for you and you’re not giving anything up by quitting. I’ve been carrying Allen Carr’s book around with me like Linus toting his blanket. Remarkably, the book and the blanket serve the same objective. Something written in the foreward, by Damian O’Hara, really hit home. Previously the book had been used as an apparatus; direction and information which laid the prep work for success. This time, the well-worn paperback means a little more to me than just a revelation. Here is the lucid sentence that brought me back home. Ah yes, this crazy, messed up world in which we live. My crazy place in time still remains and smoking didn’t change it, ease it or make it more tolerable. All it did was leave me with regret. I can’t go back and undo what has been done but I can move forward. The good news is that I didn’t go back to where I had left off and quitting now is simply like dropping junkmail into the recycling bin. I first saw the video clip below of Allen Carr speaking about his Easy Way to stop smoking. I was intrigued enough to buy his book, “Easy Way To Stop Smoking”, and it was a game changer for me. I never looked at smoked the same way again. I never in my wildest dreams could have thought that quitting smoking could not only be enjoyable, but also easy.